For Public Transport operators that don’t work to specific public transport ‘time-of-day schedules’, a new Headway Management System has been implemented. Different headways and expected Journey times can be implemented for any day of the week, and any time of the day for either direction of travel. 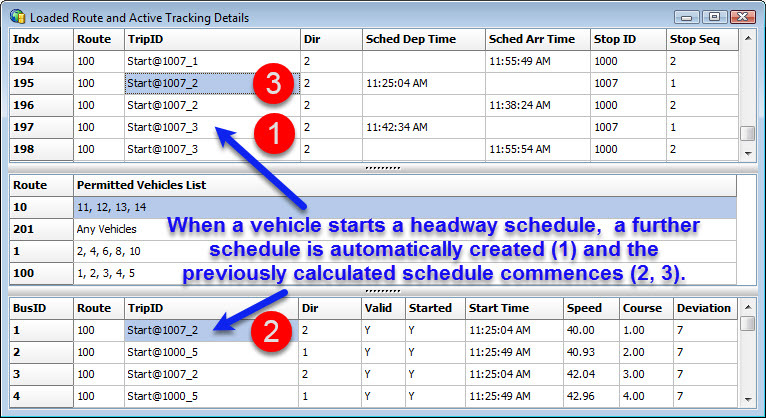 When a vehicle starts a journey, the next scheduled time is calculated based on expected headway, and this further schedule is automatically added to the system. When the following vehicle arrives, its start time is compared to the previously calculated schedule to determine schedule adherence, a further future schedule is again automatically created, and the vehicle is tracked into the system. This allows schedules & punctuality to be continually calculated dynamically, without the requirement to have any previously defined schedules installed. TRANSnet can operate with any combination of Pre-programmed vehicle schedules or new Headway schedules within the system simultaneously. TRANSnet now being trialed in Singapore!